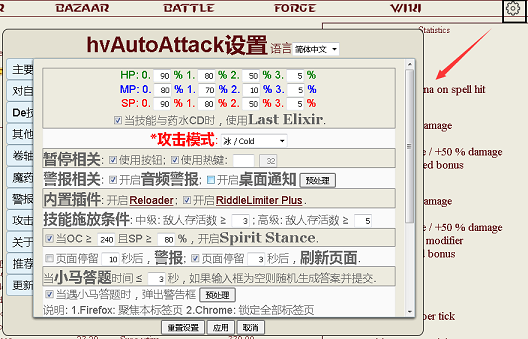 HV auto attack script, for the first user, should configure before use it. Scripts get information through text, and if you have not yet modified the font, some information may not be available, causing some errors to occur. Each area with a red dotted border can be set to a customize condition. If these areas are left blank (a condition is not set), then it's equivalent to true. NOTE: The script will attack enemy who has the least PW first. 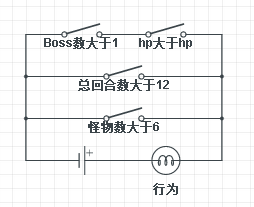 In this example, the script will attack enemy 1 next.